PhD University of Tennessee (Knoxville), USA, 1988. I am an ethologist interested in many topics relating to animal behavior. 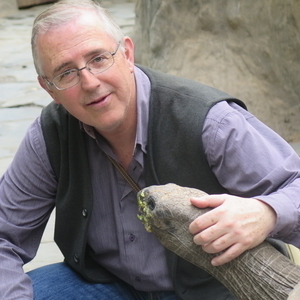 I received a Ph.D. in Ethology from the University of Tennessee in 1988. Since 1996 I am a full-time Associate Professor at the Zoology Department of the University of Valencia in Spain. I am also a member of the Cavanilles Institute of the University of Valencia, where I head the Ethology lab. Research interests: I study animal behavior (ethology), with an emphasis on lizard behavior and communication. My recent research focuses on the production, perception, function and evolution of lizard coloration, particularly chromatic signals and color polymorphisms. Teaching: Ethology (33061), Behavioral Ecology (43244), Herpetology (43237), Animal Welfare (43253). 2017 - Pérez i de Lanuza, G., M.A. Carretero & E. Font (2017) Intensity of male-male competition predicts morph diversity in a color polymorphic lizard. Evolution 71:1832-1840. 2016 - Pérez i de Lanuza, G. & E. Font (2016) The evolution of colour pattern complexity: selection for conspicuousness favours contrasting within-body colour combinations in lizards. Journal of Evolutionary Biology 29:942-951. 2017 - Kramer, M. & E. Font (2017) Reducing sample size in experiments with animals: Historical controls and related strategies. Biological Reviews 92:431-445. 2014 - Pérez i de Lanuza, G. & E. Font (2014) Ultraviolet vision in lacertid lizards: Evidence from retinal structure, eye transmittance, SWS1 visual pigment genes and behaviour. Journal of Experimental Biology 217:2899-2909. 2012 - Font, E., P. Carazo, G. Pérez i de Lanuza & M. Kramer (2012) Predator-elicited foot shakes in wall lizards (Podarcis muralis): Evidence for a pursuit-deterrent function. Journal of Comparative Psychology 126:87-96.